Property agents Garness Jones are offering what many might see as the business opportunity of a lifetime following the failure of a fledgling brewery. Twisted Angel, which opened in 2017 in an industrial unit in Beverley, brewed its last pint late last year after the company ran into difficulties. But the closure was so sudden that the operators vacated the building almost overnight, leaving behind brewing equipment, barrels and even pump clips and beer mats. 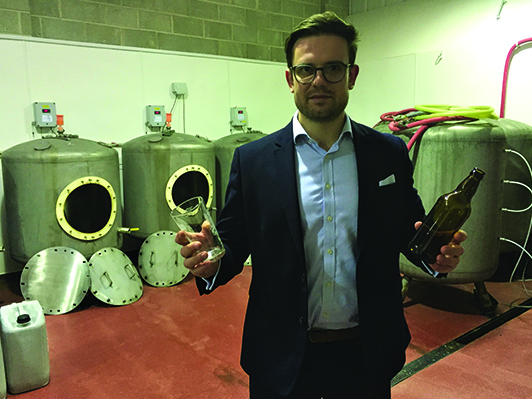 Charles Parkinson, Agency Surveyor at Garness Jones, said: “Small breweries have become big business in recent years and for anyone who is already in that sector – or looking to break into it – this is a fantastic opportunity. Twisted Angel Brewing made a name for itself soon after expanding into the unit at Beckside Court, Annie Reed Road in Beverley. The company invested heavily to bring in the brewing kit and to adapt the building to accommodate a cold store. The range of 11 beers including Daywalker stout, Berserker American IPA and Clockwork bitter were in demand at festivals across the north and at pubs throughout Hull and the wider Yorkshire area. The business went into liquidation in December but the brewing kit is still there, along with a lot of empty barrels. The racking is stocked with sacks of malt and other ingredients and on a table there’s a case of Twisted Angel’s Halo lager which was just waiting to be labelled before delivery. 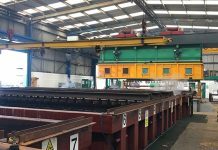 Charlies said: “Twisted Angel identified this unit as ideal because of its size and location, and things moved quite quickly because with premises like this there is limited availability and high demand. They had to do a fair amount of work to adapt the building for brewing and they did a great job.